You are here: Home / Featured / Who Wouldn’t Want Peace? 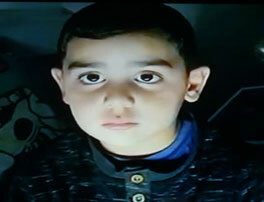 Editors note: This story is not about whether the Israeli government is right or wrong in its action but rather about the feelings of the people who have sufferer for eighteen years of terrorist attacks at the hands of Hamas. The day after 450 rockets were fired at us in less than twenty four hours and the IDF made seventy air strikes on Hamas locations, Hamas called for a “Cease Fire”, which Israel accepted. One would think “Awe it’s over, quiet, I can relax” and indeed that is how we feel. 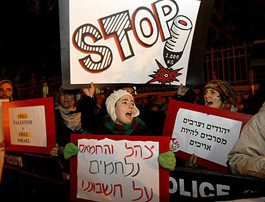 Yet protesters from not only Sderot but all over the country have hit the streets in protest to Israel’s olive branch. This is the same strategy Hamas has been using for years… Fire rockets at innocent men woman and children trying to kill as many Jews a possible and when the IDF starts to strike Hamas locations, you call for a cease fire. This time was no exception, except for one problem… The people of Sderot, the ones who have taken the brunt of these terrorist attacks and has been the main target of Hamas, have had enough. After eighteen years of terror and living in fear, every hour, every day they have had enough and want the government to go into Gaza and fix the problem once and for all. The cease fire has sparked protests all over Israel. Israeli’s see the cease fire as a win for Hamas as the people of Gaza are dancing in the street over their victory Israel. So today there are more protests scheduled for Sderot and in Tel Aviv. 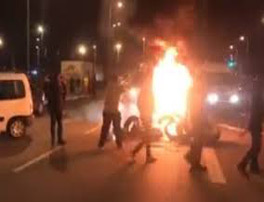 Since the cease fire, the evening air is permeated with the smell of burning pallets and tires as the protesters take to the street. In one of the schools we help is kindergarten thru sixth grade; the children are having a difficult time focusing and outbursts of erratic behavior are common place, making teaching challenging for the teachers; this is taking place daily. Every one of these children have lived in fear all their lives… let me repeat that; every one of these children have lived in fear all their lives. Is it any wonder why there are the problems there are or why parents and teachers are taking to the street in protest? How do we help the children? 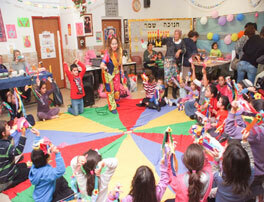 Along the food, clothing we supply families we especially look for ways to help the children of Sderot. Weather it is a simple act of kindness, a hug, a word of encouragement or even a lollipop, we will do whatever we can do to help. Hanukah parties for kids, popcorn and cotton candy days in the schools… anything to try to put some sense of normalcy back into children’s lives. The People of Sderot and the surrounding communities have gone through a lot for a very long time and Hope For Sderot will continue to do whatever we can to deliver your love and support, for we are truly just the “delivery boy” as you show your solidarity with us here in Sderot . You can help us by clicking here to make a donation. With your help we will continue to do whatever we can to help not only the children of Sderot but their whole families as well. Thank You for your support.